(*sigh*) Cookies…how I love thee! M requested cookies tonight, so I decided to find a recipe that wouldn’t make a ton of cookies – I wanted there to be less than two dozen, and this one only made 19 for me. They’re super tasty, especially with the addition of espresso powder. Thanks for reading, enjoy! 4. Using a 1 ounce scoop or a 2 tablespoon measure, drop cookie dough onto a parchment lined cookie sheet about 3 inches apart. Gently press down on the dough with the back of a spoon to spread out into a 2 inch circle. Bake for about 20 minutes or until nicely browned around the edges (mine were perfect after only 15 min.) 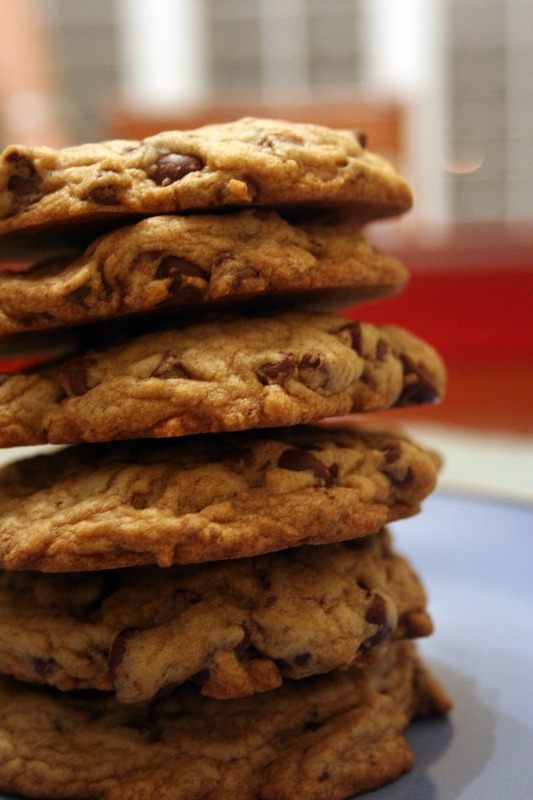 Bake a little longer for a crispier cookie.